The demonstration project will test technologies which will monitor, measure and regulate the transfer of electricity from large-scale solar projects into the O&R system. Those technologies will manage the power flow to match the real-time capacity available in the O&R system. This project will provide solar developers an alternative interconnection technology in lieu of traditional electric infrastructure upgrades. Regulating the timing and volume of the power flow into the space available on the O&R system has been shown to alleviate the need for costly new infrastructure to accommodate more power in certain situations, resulting in increased cleaner energy available to customers. On July 19, the New York State Public Service Commission endorsed the project as meeting the objectives of the state’s initiative to build a cleaner, more resilient and affordable energy system for all New Yorkers. This project also supports the state’s Clean Energy Standard which requires 50 percent of New York state’s electricity be provided by renewable energy by 2030. 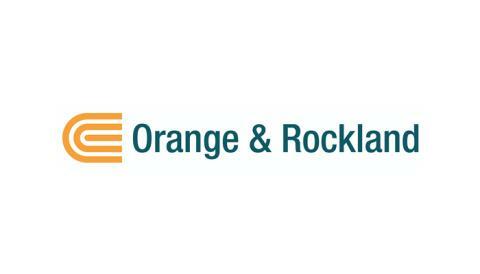 Orange and Rockland Utilities, Inc. (O&R) is a wholly owned subsidiary of Consolidated Edison, Inc., one of the nation’s largest investor-owned energy companies. O&R is a regulated utility that provides electric service to approximately 300,000 customers in southeastern New York State (where its franchise name is Orange & Rockland) and northern New Jersey (where it’s Rockland Electric Company), and natural gas service to approximately 130,000 customers in New York. 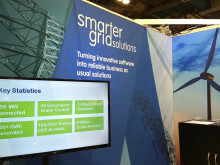 Smarter Grid Solutions (SGS) is a leading provider of distributed resource management system (DERMS) software with over 300 MW of generation and load under real-time control. With offices in New York, Glasgow and London, SGS is a global solutions provider to distribution utilities, distribution network operators and distributed energy resource providers. In New York State, SGS is deploying technology with four of the six distribution utilities to achieve the objectives set forth under the state’s Reforming the Energy Vision (REV) framework.